The Alabama Senate passed a bill to allow charter schools in Alabama tonight, the first bill it has passed this year. 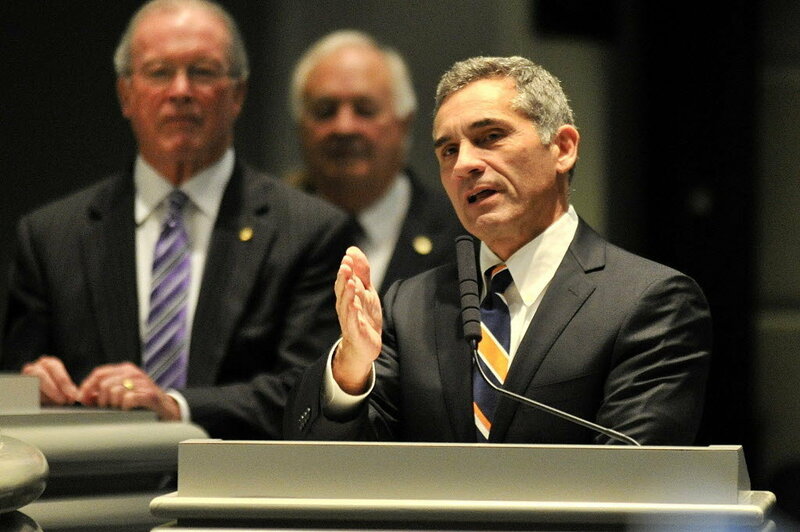 The proposal by Senate President Pro Tem Del Marsh, R-Anniston, passed by a vote of 22-12 after a debate that lasted about four hours. The vote broke mainly along party lines, with Republicans mostly supporting it. The Republican majority turned back repeated attempts by Democrats to amend the bill. Democrats expressed numerous concerns about the plan, including that it would hurt public schools that are already underfunded and allow charter schools to hire teachers without professional certification. Sen. Hank Sanders, D-Selma, said he thought many children would receive a poorer education because of the law. Marsh’s bill goes to the House. Charter schools are publicly funded schools that operate without the rules and regulations that govern traditional public schools in hiring, curriculum, instruction, scheduling and other areas. Marsh’s bill would allow two types of charter schools. Nonprofit organizations could apply to local school boards for a charter to start a school. And local school districts could elect to convert a traditional school to a charter. The rejection of a nonprofit’s application to start a charter school could be appealed to an Alabama Public School Charter Commission authorized under the bill. The commission could reverse decisions of local boards and approve charters. The appeal process was one of the provisions that raised objections from opponents. Sen. Quinton Ross, D-Montgomery, a former high school principal, said it took control from local boards. There would be a limit of 10 start-up charter schools per year for the first five years. There would be no cap on the number of conversion charter schools. Posted in Accountability, Charter School, School Choice and tagged "Standing Strong for Public Education", #iBelieve, Accountability, Accountability System, Advocacy, Department of Education, Diversity, Education, Education Funding, English Language Learners, Equity, Every Student Succeeds Act (ESSA), Failing, Failing Schools, Federal Education Policy, High-Needs Students, NEAExecutiveCommittee, Pension, Pensions, Public Education, School Choice, Students, Testing and Accountability. Bookmark the permalink.